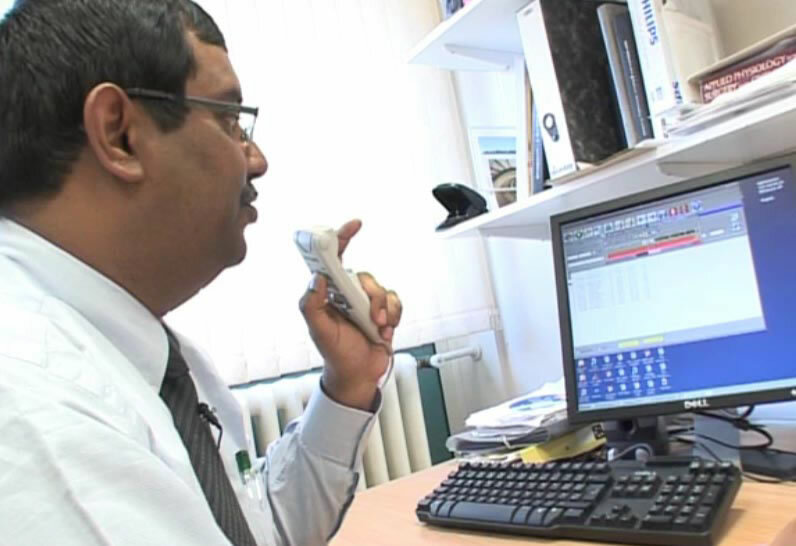 Doncaster and Bassetlaw Hospitals NHS Foundation Trust is using MedisecTRUST Digital Dictation to halve the time it takes to deliver clinical correspondence. Trusts in England must deliver discharge documentation to GPs within 24 hours of a patient leaving hospital. Doncaster and Bassetlaw Hospitals NHS Foundation Trust, in agreement with their Primary Care partners in South Yorkshire, pushed the bar even higher, aiming to deliver all outpatient clinical letters to GPs within 24 hours. The Trust originally looked at both digital dictation software and document workflow solutions, but quickly identified that an integrated system would provide a true ‘start to finish’ electronic process. Digital dictation is an obvious improvement on analogue, but it still doesn’t take the paper out of the letter approvals process. If the secretary follows the standard process – where she types up a letter from the digital dictation, prints it out, gives it to the clinician and on approval, posts it to the GP – it takes several days or even weeks, not hours. The Medisec solution automatically matches a digital dictation with the corresponding central Patient Administration System (PAS) details to produce an electronic clinic attendance letter or discharge summary which can be checked and delivered electronically. The technology allows the Trust to hit the 24 hour target even when consultants are working across several sites. When a patient is selected, the system opens the integrated dictation software. The resulting voice file is tagged to the patient and automatically appears in the relevant medical secretary’s workflow. When the transcriber opens the voice file, the system automatically inserts patient information from the hospital PAS into a letter template, also generated by the system. Once the transcription is completed, the document is then forwarded to the consultant for review and electronic sign off, before being made available to the relevant GP. Before, if I attended a weekly outreach clinic in Bassetlaw on a Monday, for example, I often wasn’t able to sign off the ensuing letter until the following Monday when I was back in the clinic.Now I can dictate a letter on one site in the morning and approve it in the afternoon from another site. Medisec gives me an instant, on-screen alert telling me how many letters I have pending to approve and I can check and sign off them electronically from any of the three sites where I work. As soon as I authorise a letter, before a patient has even left the clinic, the surgeries are able to simply download it into their inbox. The Medisec system allows us to track progress from the point the dictation is captured, all the way to when it is delivered to the GP. It will enable the Trust to report accurate data to the PCT and prove how long it has taken from a patient leaving a clinic to the GP being able to access the relevant update. More than 100 clinicians are now using the system to create around 11,000 pieces of digitally dictated clinical correspondence each month. The average time from a patient attending a clinic (or leaving the hospital after treatment) to the relevant clinical correspondence being made available to GPs for instant download, has been halved. Nearly a third of all clinical letters are now being delivered within the 24 hour target (not just discharge summaries).